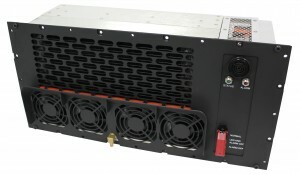 Aspen Systems specializes in the design and manufacture of miniature refrigeration systems. We developed the world’s smallest rotary compressor and have designed numerous commercial and military systems based on this technology. We work with our customers to create custom thermal solutions that integrate directly into products to minimize weight, footprint, and costs. We offer standard products which are used across a variety of industries including commercial, industrial, military, and medical. 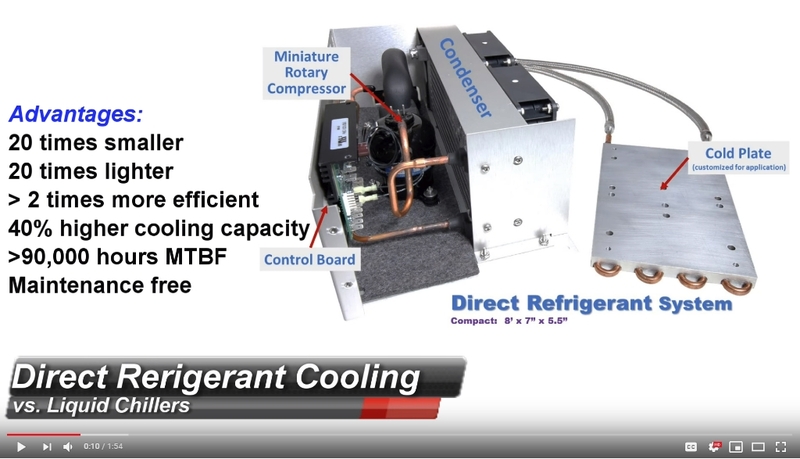 Compact vapor compression refrigeration systems utilizing our miniature rotary compressor enable smaller, lighter, and more efficient thermal solutions. Aspen Systems has extensive experience with integrating our miniature refrigeration technology into compact, efficient systems to meet our customers’ requirements. The products Aspen offers have been rigorously tested to meet the demands of today’s most challenging fields including military electronics and laser cooling. 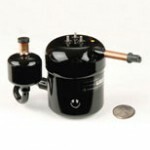 Aspen Systems specializes in high performance, miniature Vapor Compression Refrigeration systems. See in the video above, a review of Aspen’s technology and capabilities (Run time: 2 min, 34 sec). 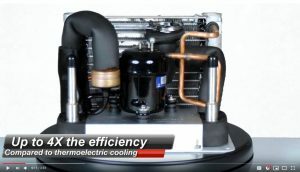 Direct refrigeration cooling or direct expansion cooling offers many advantages including the highest efficiency and highest cooling power. Click the video to learn more (Run time: 1 min, 55 sec). 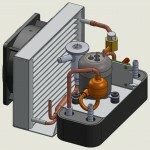 Are you wondering how vapor compression refrigeration works? 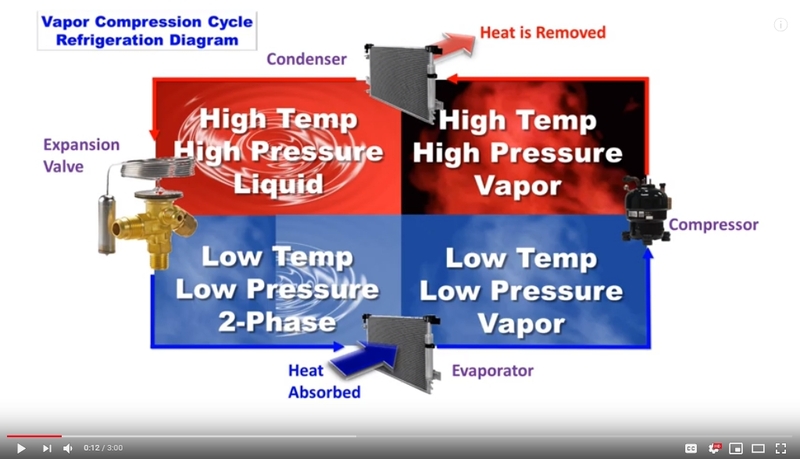 This educational video, uses the vapor compression refrigeration cycle diagram to explain the physics of phase change heat transfer (Run time: 3 min).